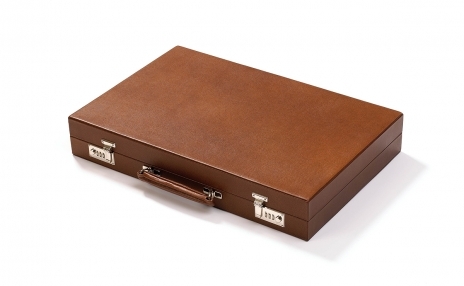 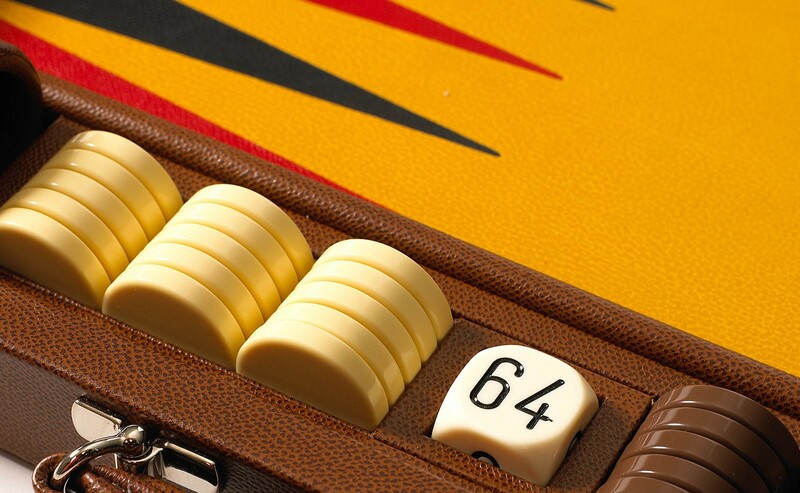 Created with input from backgammon legend Paul Magriel, the Prestige set proves that high quality is the ultimate luxury. The handcrafted leather playing surface, Geoffrey Parker’s signature, is manicured to provide ultimate control over dice. 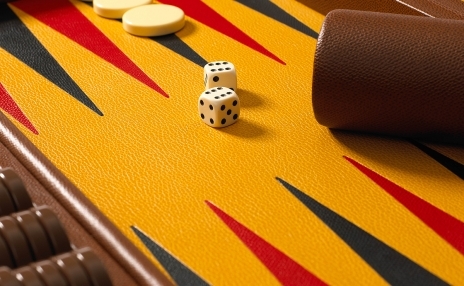 Points are inlaid flawlessly; no seams or stitches to slow the game. 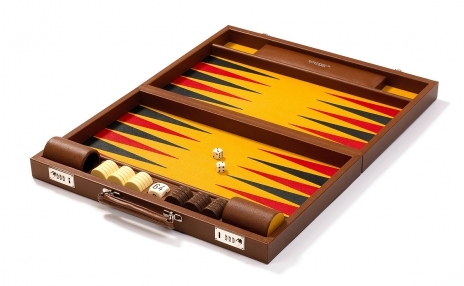 Modern acrylic checkers have a finger dish on one side for added versatility. 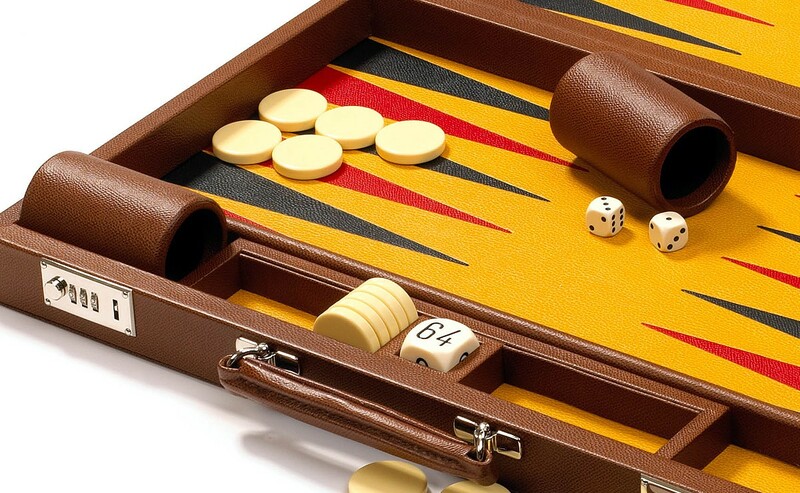 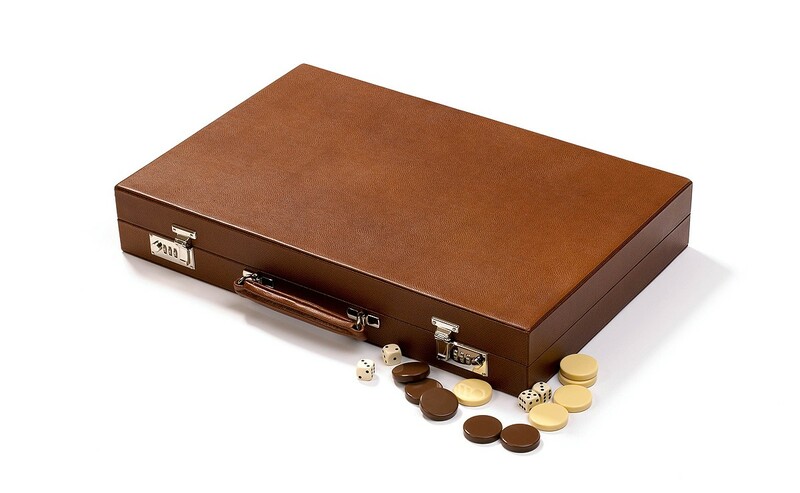 Featured backgammon set has an espresso case with nickel fixtures, mustard field with cherry and ebony points, espresso dice cups with color-coordinated bases, espresso and magnolia checkers, white precision dice and white doubling cube. Competition-sized board measures 25.5”x32.8”x1.6” when open.